Watercolor pencils can add new textures, colors, techniques to watercolor painting. They are portable and can be less messy to use while traveling or outdoors. Many artists enjoy using them to enhance their watercolor paintings or to add subtle effects in other mediums. Finding a good set of watercolor pencils involves knowing how many colors you would prefer, the quality of the pigments used in the pencil, and knowing which techniques you plan to use. There are many sets available that can give you good results but there are few that stand out as being better quality than others. The Derwent Watercolor Pencils provide a good range of color choices while also having strong pigment. When using cake or liquid watercolor, you can be limited in the number of colors you use when traveling. In fact, many professional artists prefer to use as few colors as possible when outdoors. They use their travel paints to create the colors they left in the studio. However, watercolor pencils provide a way to take more colors with you when you are traveling or want to paint outdoors. Pencils are highly portable and, when compared to other types of watercolor paint, are more durable. They can withstand being bumped, dropped, or squished. The Derwent pencils come in a tin case that makes travel easy. The pencils are separated into individual cells so that you can organize them into any order you wish. The tin is thin so it can easily fit in a briefcase, messenger bag, backpack, or paint case. It holds the pencils in place and protects them from being damaged during transport. Learning to use a paintbrush takes time and practice. Perfecting painting techniques can take years. Watercolor pencils give you the opportunity to start painting with the control of a pencil. The hexagonal shape of the Derwent pencils gives you a good grip that will provide the control you want. Since using a pencil is familiar, learning to use watercolor pencil techniques can be done faster than learning brush techniques. Pencils give you an opportunity to use different techniques than those used with a brush. These pencils can make a hard, sharp line if you are looking for extreme definition in your paintings. Or they can be used to create soft, subtle highlights. Once you’ve made your pencil mark, the water soluble pigments can be spread and softened even more using water and a brush. You can lightly rub the pencils on the paper and then use a brush and water to create a gentle wash. Some artists use a brush to lift the pigments directly from the pencil and then apply to paper. Dry pencil can be applied to a wash or added to a painting that has been done with a brush. You can add fine, dark details more accurately using a pencil. Be sure that if you are applying a heavy line that the point of the pencil is dull so as to not damage the paper. They can be purchased in packages as small as six pencils and as large as seventy-two pencils, allowing you to purchase the number of pencils that will meet your needs. Many artists only carry a handful of colors with them at one time. Using watercolor pencils provides a portable way to take more colors along, adding variety and vibrancy to your work. Derwent uses high-quality pigments that resist fading. Vibrant, rich colors result when they are used. They perform best on watercolor paper. Translucency and blending are other important features for a watercolor pencil. The Derwent pencils blend well on paper. While they are not as translucent as liquid, cake, or solid watercolors, they still create the illusion of transparency well. One end of the pencil is color dipped so you can see a close approximation of what the color will look like on the paper. It is best to test the pencil on another piece of paper before applying so that you get an accurate idea of the color on paper. These pencils are used by both professionals and amateur artists. 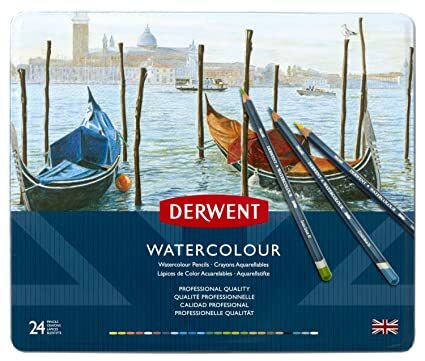 If you are looking to add watercolor pencils into your paint collection, these pencils will perform well and provide the quality pigments that will make exciting paintings. 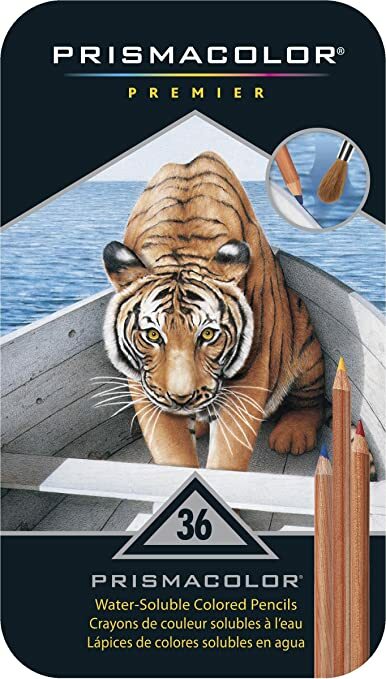 The Prismacolor Premier Water-Soluble Colored Pencils are another good choice if you are looking for quality pencils that provide good color results. They come in a pack of 36 pencils for a wide range of color choices. A tin case provides the protection you need to keep them from being damaged. Watercolor pencils are commonly used by art students because they are so portable. The case is slim enough to fit in any sized bag and taken where ever you need to go. It can also keep the pencils organized. Some users have found the packaging within the tin case to be inconvenient. There are three layers of pencils inside and they must be lifted out to reach the bottom most layer. Prismacolor provides rich pigments that can add depth and interest to your projects. The pigments are lightfast, which means they won’t fade from being exposed to sunlight. Many an artist has lamented using poor quality materials when they see the masterpiece they’ve worked on for weeks reduced to a pale, indistinct painting after exposure to sunlight. The pigments have good solubility, which helps them to lay smooth on the paper. Without good solubility, small flecks of pigment can be left on the paper and muddy the painting. The Prismacolor pencils can be used in conjunction with traditional watercolors and a brush. Many people have used these pencils for adult coloring books. Once they’ve colored with the pencils, they use a fine brush and water to blend. Watercolor pencils provide a richer, deeper color for these coloring books, which is only enhanced once water is applied. 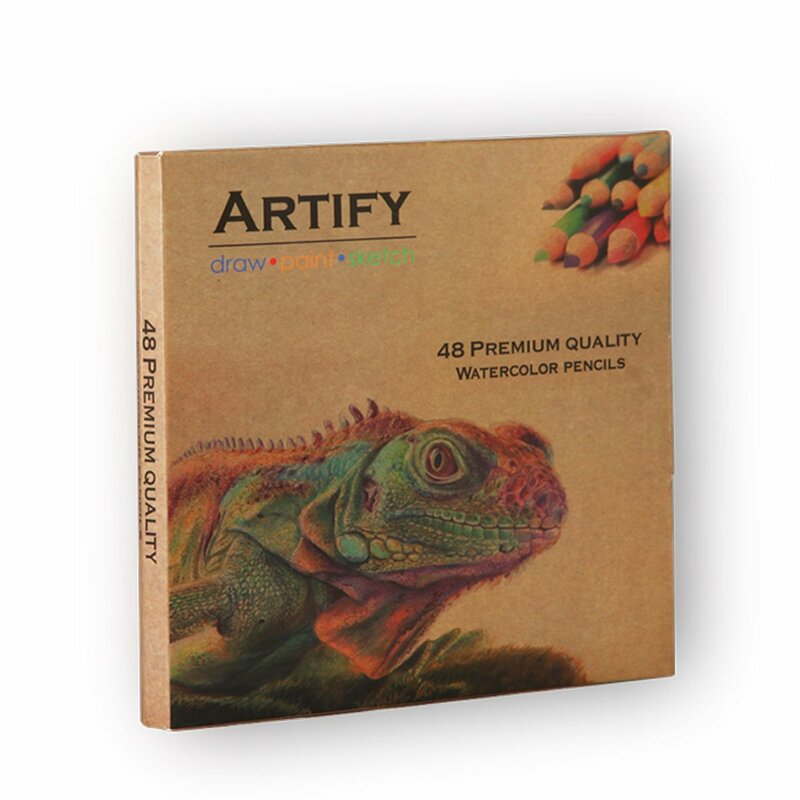 The Artify Artist Grade High-Quality Watercolor Pencils is a good quality set of pencils that comes with a few extra perks. This set provides you with all the tools you need to create your own original works. The Artify pencils come in a portable case with two white cardstock organizers that slide out of the case. The organizers allow you to seal the pencils before they are placed in the provided case. Included with this set are two drawing pencils, a pencil sharpener, an eraser, and a paintbrush. This provides you with extra tools that would, otherwise, need to be kept separately. With this set, they are all contained within the case for easy portability. Many users liked that all they needed was a cup of water and paper to begin working. This set of pencils was made with the environment in mind. The pencils are made with eco-friendly practices, recycled wood, and are non-toxic. The case is made of 90% recycled materials. Purchasing products that are environmentally friendly can be an important consideration with art materials. Traditionally, there are some watercolor pigments that are made of toxic substances. However, you do not have to worry about the danger of toxicity with this set. You’ll have 48 watercolor pencils to choose from. This wide range of colors should meet all of your needs. You’ll be able to create colorful, vibrant paintings and pictures. When using watercolor pencils in conjunction with traditional watercolor paints, it can be difficult to match colors or find a good complementary color. By having a wide range of colors, you’ll be able to find the colors that you need, usually without mixing. While the color of the pencils is good quality and vibrant, the pencils do not have color names printed on them. This can be a problem when you’ve used a color and want to use the same color again, especially if you are working on the same piece. Keep this in mind when using these pencils. It may help you to set aside the pencils you are using so that you can easily reference them while working. These pencils are not quite as water soluble as others. They can leave some pigments lines after you’ve lifted the color with a paintbrush. This leaves subtle pencil marks. While this may not be a problem if that is the effect you’re going for, others may find this problematic to the types of work they like to do. Artify provides a 100% money back guarantee. Once you’ve purchased, if you find that pencils are not up to your standards, you can return without worry of losing your money. The Royal & Langnickel Watercolor Pencil Art Set is a small set that provides you with the basic features you need at a fraction of the price. 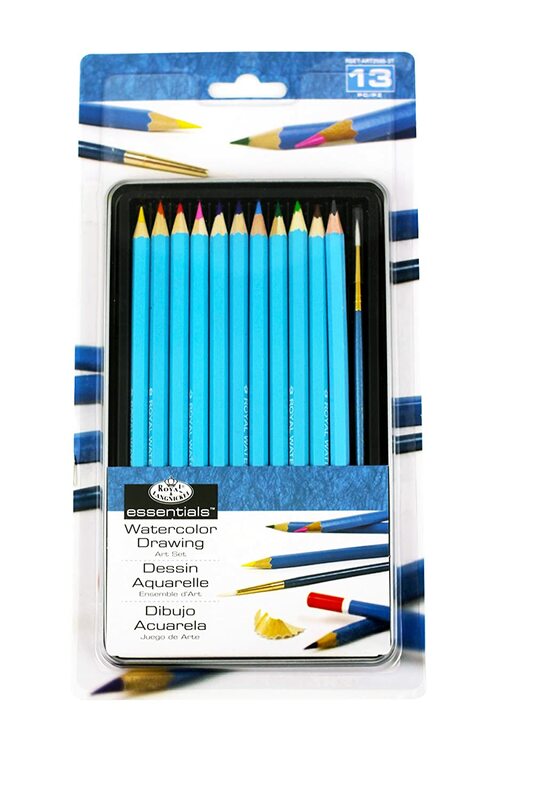 This small set of 10 watercolor pencils also comes with a graphite pencil and brush. This allows you to store these items in the provided tin case. This type of set would best suit those that color and paint on the go. It is small and highly portable. The tin case will keep everything together and safe. Each pencil sits in its own cell to give it further protection and keep the case organized. The pigments are not of high-quality. You can get adequate pigment when pulling with water and brush but the color is not as vibrant as other sets. The pigments work well when coloring but perform less well when water is added. They would work well for use in adult coloring books where you could blend the colors in small spaces. They cannot provide enough pigment for a wash. The leads of these pencils are delicate. They tend to break quite often and will need to be sharpened regularly. It would be best to use with a pencil sharpener nearby. The Royal & Langnickel would be a good starter set for someone that wants to experiment with watercolor pencils. The pencils can give you a good idea of how watercolor pencils work and what they can do. 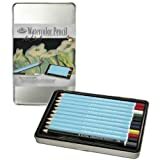 This type of set would work well for a student, child, beginner, or more experienced artist looking for a set of watercolor pencils that are better suited for slight blending rather than imitating a true watercolor look. The quality of pigments used in watercolor pencils will affect their vibrancy and translucency. Vibrant colors are sharp, rich, and bright. One of the hallmarks of a watercolor painting is translucency. You should be able to see the paint layers underneath shining through the top layers. A quality watercolor pencil should also provide this quality with their pigments. The pigments should not look muddy or opaque. You should be able to see the paper shining through the pigment once it’s been washed over with water. The pigments should also appear even and smooth. For artwork, the fight against the damage from light is ongoing. To prevent your artwork from looking pale and faded, look for watercolor pencils that are lightfast. There are different degrees of lightfastness and some colors may be more lightfast than others. 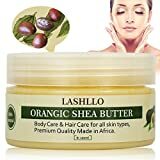 Always check for references of ‘resists fading’ if you don’t see any lightfast rating mentioned on the package. This will preserve the longevity of your work. Because translucency is so important to using watercolors, the pigments must be water soluble. When the pigments are completely soluble you won’t be able to see any grains or individual clumps of pigment. This helps the color to go on smooth and gives your artwork a polished, professional appearance. The better the solubility, the greater the variety of techniques you will be able to use. With good solubility, you can lift the pigment directly from the pencil and apply to the paper. You can also wet the end of the pencil and tap it against your finger to create a splatter effect. You can experiment to create techniques of your own with a good soluble watercolor pencil. Because you will need something to hold your pencils, the kind of case that comes with the set will be important. Tin or wooden cases are the most durable. Hard cases, such as these, can prevent the pencils from becoming broken or damaged while transporting. Cardstock, or other paper-based cases, will not stand up to heavy use. Over time, they will degrade and you will need to find something else to hold your pencils. It is also worth considering what other accessories are included with the set of watercolor pencils. Some sets only have the case and watercolor pencils, while others may include a graphite drawing pencil, eraser, pencil sharpener, and paintbrush. Any combination of extra accessories may make the set more usable for you. For example, if the set includes a paintbrush that is one less tool you have to remember to get out when you want to use your pencils. The purpose for which you are going to use the pencils can also determine what set is right for you. If you want watercolor pencils that give you results that are close to traditional watercolors, you are going to need to spend more money on a set that has high-quality pigments. On the other hand, if you are looking for a set that you want to use for coloring with some blending, a set that doesn’t have as good of solubility will still give you vibrant colors and good blending. Examine what you want to use the pencils for before purchasing. Watercolor pencils can be a fun way to add to your art tools. Once you learn to use them, they can add variety to your techniques and give you your artwork a look that you can’t get from other mediums. 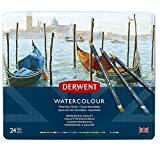 They are a versatile tool that can enhance your watercolor paintings or be used to create artwork on using only the pencils. Once you’ve examined your needs, you should have a good idea of the number of pencils and quality that would work best for you.